As loving dog owners, we are always looking for new ways to ensure our canine companions are happy and healthy. Ample exercise is a must for most dogs, and mental stimulation with plenty of play and attention go a long way. But what about your dog’s diet? Is your dog getting the best nutrition to live a long and healthy life? Your pet’s health depends on the choices you make. Knowing the ingredients in your dog’s food is the first step toward better health. Grain-free dog food can be a fantastic option for pet parents looking to feed their pups the food they should be eating, and cut out the ingredients that you want to avoid. In this article, we will outline what grain-free dog food is, why many people believe it is the right choice for a natural pet food for dogs of all breeds, what some of the main benefits of feeding your dog a grain-free diet are, and well as some of the negative aspects that have been in the news recently. Surely you have seen items in grocery stores and restaurants labeled ‘grain-free’. So, what’s all the fuss with eating grains? We would like to start by saying that grains are a perfectly healthy ingredient to be included in pet food, as well as grain-free diets. Either choice is perfectly fine for the nutritional health of your pet. But, and this is very important but, they must be formulated correctly. When selecting a diet with grain, whole grains are often better choices, but it all comes down to the individual needs of the pet and the preference of the pet parent. At Lucy Pet, we are guided by science and facts. Our team of experienced nutritionists analyze the nutrient values of every ingredient, how they contribute to the overall formula, and how well they will be digested. These are all part of the process of making a formula. Lucy Pet offers several grain-free dog food options for consumers to consider. Whether you choose a grain-free formula or one with grain, it is very important to understand that carbohydrates play an important role in providing energy to the brain. Grain-free formulas can also include carbohydrates, so let’s understand a few facts about carbs. Grain-Free Dog Food in the News? There is a great deal of misleading information which can misrepresent the role and value of carbohydrates in nutrition. Carbs provide energy, which is essential to survive. Dogs and Cats are actually very efficient at digesting and converting carbs into energy. It is much more difficult to obtain energy solely from meat/fish protein, and is more taxing to the body, so a diet with zero carbs actually creates more physical challenges to the metabolism. What is key, however, is the type of carbs used in a diet, and how they are blended with protein, fats, and fibers. As a point of differentiation, there are “simple carbohydrates” and “complex carbohydrates” which digest differently and convert to energy differently. It is important to remember that no single ingredient is the most important in pet food. Some people will hyper-focus on the first ingredient, or just the first 4-5 ingredients. While these do represent the highest percentage of the formula by weight, a dog or cat would not survive or be healthy on just those first 5 ingredients. In fact, it is the combination of all ingredients when digested which contribute to the total nutrient profile and quality of food. It is very important to also understand that meat/fish protein alone does not provide all of the necessary nutrients for dogs and cats. Remember that ingredients are designed to work in combination so your pet gets nutritional value throughout the digestion and absorption process. Carbohydrates are important because they provide glucose (energy) for the brain and central nervous system. Carbohydrates can vary in quality and nutrient contribution, depending on the brand. They can play an important role in dog and cat nutrition, such as providing energy, protein, and fiber. The majority of carbohydrates that Lucy Pet uses are generally complex carbohydrates, which convert into energy more gradually, and are highly digestible. Science has proven conclusively that dogs and cats have a very efficient body to digest and process carbohydrates properly. Complex carbohydrates provide longer-term storage of energy when the animal is not eating. When pets eat, carbohydrates, proteins, and fats are digested and broken into smaller parts. Once broken down, these parts will affect blood glucose differently depending on how they are absorbed and how the body uses them. So it doesn’t matter if the diet is grain-free or with grains, carbohydrates are important for energy and brain function. Today, when you are browsing the web or store shelves selling dog food, you’ll see that grain-free formulas are popular in the pet food industry. This is largely a popular trend mirroring human food trends but grain-free diets can be excellent options. There are 36 parts of the genome that differ between dogs and wolves, 10 of which play a critical role in starch digestion and fat metabolism. Although not as common as you hear, it is true that some dogs have food sensitivities to grains such as corn, wheat, and soy. When consumed, these ingredients might cause health problems including food allergies, obesity, and digestive issues. Lucy Pet offers high-quality grain-free dog and cat kibble for consumers who prefer a diet without grains. The advantages of grain-free dog food are numerous, and in the next section, we will cover the many benefits. Now that you understand some of the history behind canine diets, you are probably wondering what the benefits would be of switching your pup to a grain-free diet. Research has shown that of the many forms of dog food available, kibble is the best type to get your pet the right nutrients. Grain-free diets are an excellent choice, provided they are formulated correctly, precisely balanced, and manufactured in a quality manufacturing facility. There have been a number of reports in the news about some dogs who experienced a heart condition known as “dilated cardiomyopathy” (DCM). The FDA and veterinarians are still studying these cases, but not all grain-free diets are involved in this issue. As experts began to dig into the issues, one leading theory is that the diets with dogs affected by DCM were not formulated and balanced correctly. As a result, what would have been perfectly good ingredients for a grain-free food were included in levels not correctly balanced, and therefore caused a health condition in certain dogs. None of Lucy Pet’s diets were involved in those cases. 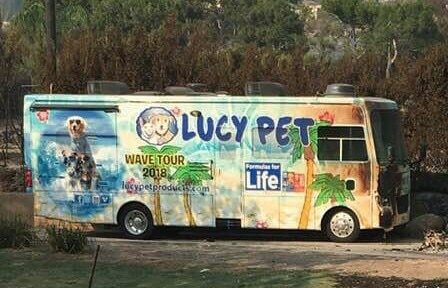 In fact, Lucy Pet has a team of leading nutritionists with extensive experience, who precisely formulate and review every formula. Additionally, we have always supplemented our dog formulas with much higher levels of taurine for heart and eye health. In fact, over 25 years ago, our president Joey Herrick led the pet food industry by being the first to add taurine to dog foods. What’s key to understand is that a grain-free diet is an excellent choice for your pet, if the company formulates and manufactures correctly! Lucy Pet’s grain-free diets are great choices because they are formulated and balanced correctly. They have high-quality proteins, fats, fiber, and quality carbohydrates, and support a healthy digestive system, healthy skin and coat, and more. Here is our list of the top five benefits of grain-free dog food. Your pet’s digestive tract goes far beyond just processing the food your pet eats. Our grain-free formulas all have our unique P.B.F. Prebiotic Balanced Fiber blend for gut health. The gut plays a key role in natural immunity to disease, and maintaining a healthy gut can contribute to a healthy dog or cat. New research shows that having a variety and blend of carefully selected fiber sources can produce an environment in the digestive tract to lead to an optimal balance in the gut. Having a diverse blend of prebiotics provides nourishment for the gut bacteria, which in turn nourishes the entire body. Our grain-free formulas truly provide health from the inside out. Food sensitivities or allergies can be frustrating and cause health problems and discomfort for dogs. In fact, the owners of many dogs who suffer from food allergies are unaware that their dog may be allergic to their food. While food intolerances describe any scenario in which a dog has difficulty digesting a certain ingredient (think: lactose intolerance in humans), a food allergy is a bit different. Food allergies in dogs occur when their immune systems have an extreme response. Even if your canine companion exhibits none of the above symptoms, that doesn’t mean that their current diet is working flawlessly. Food intolerances, while not usually as severe as allergies, still pose a serious threat to your dog’s health. High-quality grain-free dog food is a different story. As is the case with most super-premium dog foods, you can usually count on reducing the amount of food you give your pup once you switch to grain-free, in order to maintain a healthy weight. 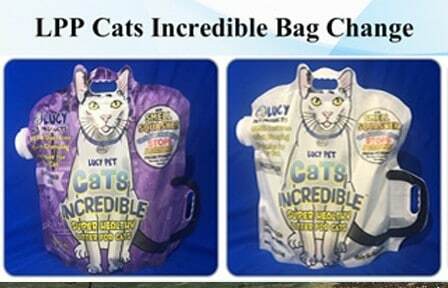 The feeding guidelines of the bag provide instructions based on your pet’s age, weight, and health condition. 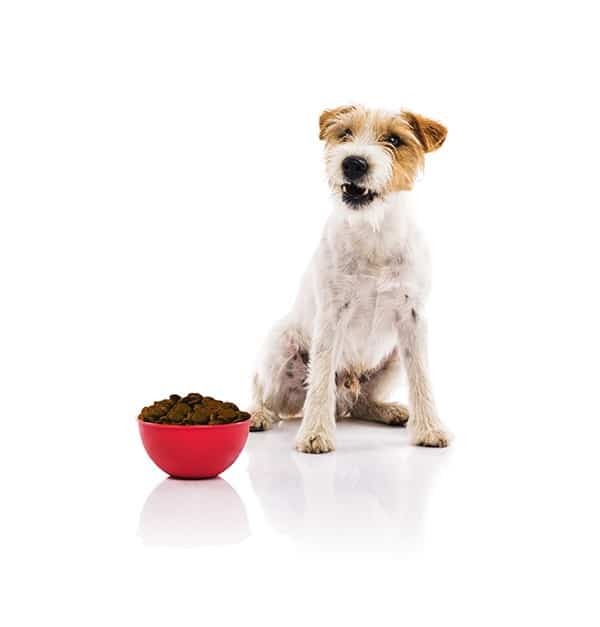 This can help you to offset some of the added cost of feeding Fido a high-quality grain-free kibble. Some pet parents feel “sticker shock” when they see prices of super-premium, grain-free foods. But when you factor in the smaller amount you can feed your dog as well as the reduction in health problems and potential resulting vet visits, you may find that super-premium, grain-free foods are actually the more affordable option. Did you know that Lucy Pet’s grain-free food can improve your dog’s skin health and coat health? When it comes to skin and coat health, healthy fats and oils are the name of the game. Our formulas provide healthy oil and fats to maintain a healthy, shiny coat with soft, supple skin. One of the primary grain-free dog food advantages is that there tends to be an increase in omega-3 fatty acids, which are particularly good for your pet’s skin and coat. Lucy Pet uses high-quality ingredients with a naturally high omega-3 fatty acid content, like wild Alaskan salmon, duck fat, and flaxseed. Not only does Lucy Pet’s grain-free Formulas For Life(™) food make your dog’s skin and coat healthier. The quality of protein, fats, fiber and complex carbohydrates found in our grain-free foods contribute to a stronger coat, which in turn can lead to less shedding. If there’s one benefit that every pet parent can relate to, it is less hair to deal with around the house! Another interesting set of grain-free dog food advantages are the ingredients used as alternatives to grains. Many of these are ingredients your dog may not have been exposed to and are really great sources of nutrition. For example, sweet potatoes, quinoa, chickpeas, and potatoes are just a few examples of delicious veggies that are used to formulate grain-free diets. Sometimes your dog may be experiencing a number of challenges that you cannot attribute to a specific condition or cause. Often times pet parents will try switching their dog’s food first to see if the condition clears up. Choose a grain-free dog food is a great choice because they often avoid ingredients that could be causing an issue for your dog. Also, because grain-free dog foods are usually formulated with less common ingredients, your dog may respond well simply by making the switch to grain-free. Always remember to switch your dog gradually, so you don’t cause digestive upset. After a period of 7-10 days, your dog can begin eating the new diet 100%. Dogs with more sensitive stomachs might need a longer transition. You may be delighted to see that the switch to grain-free alone might save you a lot of money in allergy tests and various medications. Always consult your veterinarian for any serious health conditions or drastic changes in your dog’s behavior. These are just 5 of the many benefits that grain-free dog food can offer your canine pal. From healthy skin and coat and increased energy to better breath and less risk of allergies and intolerances, knowing all these benefits makes feeding your dog a grain-free diet a no-brainer. Shop our grain-free dog food now!